You two have nothing in common. How will you navigate a relationship that is doomed from the start? This is Fog of Love’s most challenging story yet. And it adds 24 new feature cards to the base game to bring new flavour to your characters. Tell a powerful, cinematic love story that will leave a lasting impression and echo through future plays of the game. It also comes with 24 new occupation cards that you can use in any story. Your parents have arrived! And they’ve brought their opinions … Can you juggle keeping them happy, as well as your partner? It’s a completely new way to play the game, that makes for even funnier, more relatable stories. Each expansion adds a new dimension to the game and allows you to experience an even more varied range of incredible and humorous love stories. The expansions are available now in game stores in Europe, Canada, and Australia and at Walmart.com in the US. Fog of Love is now available in two new covers to celebrate LGBTQ relationships. We listened to feedback from people who felt our cover didn’t represent them and decided to fix it. We hired Eldritch Horror designer Nikki Valens as a consultant. She used her perspective as a member of queer and transgender communities to update certain scene cards and make them more reflective of LGBTQ relationships, across all versions of the game. 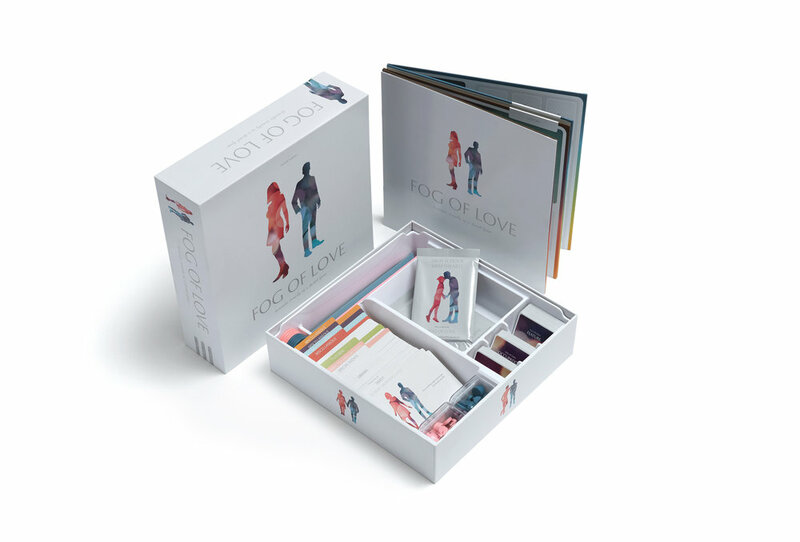 And we’re excited to announce that Nikki is designing a new expansion for Fog of Love that will focus on telling stories about queer relationships. 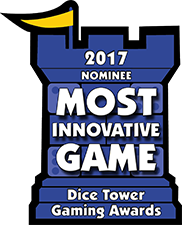 "The best game we have played in a long, long time"
"It’s a tour de force...The most unique board game we’ve ever reviewed"
"It pulled us out of a funk - we were asking “is board gaming that good”. And Fog of Love said - Yes. Board gaming is incredible." "It’s impossible to talk about how it plays and what’s it like without sounding like you’re actually talking about real relationships." "We cannot overstate how important it is to have this space between co-operation and conflict that makes Fog of Love, not just more romantic but truly more exciting than any co-op game we’ve ever played." "The components and the art are absolutely gorgeous." "The best tutorial in any game we’ve ever seen"
The gang at Polygon play Fog of Love and tell the hilarious romance of Blake and Gabby.